Liver cirrhosis is another deadly killer. It is caused by scar tissue in a badly battered liver. If you abuse your liver function, giving it hard work it is not designed to perform, you damage it severely leading to liver cirrhosis. Is this fatal? Well, it’s among leading causes of death. What causes liver cirrhosis? First, if you’re fond of eating street food contaminated by the Hepatitis C virus, you’re likely to be candidate. You never know when someone infected with the disease dips his or her street food into the common sauce jar and contaminates it. Or, if you happen to eat in a restaurant where food handling is carelessly done. Or, the injection needle used on you had been used on a person who didn’t know he had Hepatitis C.
Second, if you have fatty liver. Fatty liver is caused by heavy drinking of liquor, especially if this is accompanied by eating of fatty finger food. Most drinkers like drinking with fatty snacks. If they do this often (sometimes even on a nightly basis) liver cirrhosis is likely to set in. And because this disease seldom shows symptoms, it would be too late when they discover the ailment in them. Third, if you are an alcohol abuser which leads to fatty liver, as already explained. With the liver malfunctioning, nothing will filter out the toxins and poisons from the food you eat and the toxins produced during digestion. Your blood is likely to be poisoned and along with that, some episodes of high blood pressure and heart disease perhaps. 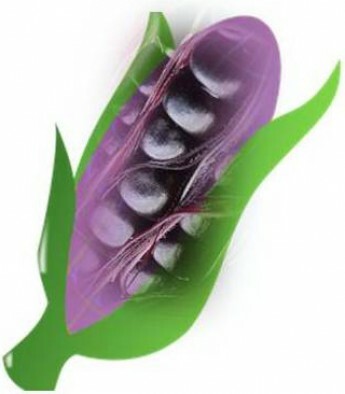 Here’s how purple corn supplements can help you. First, this Peruvian health drink may help you prevent fatty liver. Purple corn anthocyanin is a good body fat regulator and helps wash out or burn excess fats. Second, it helps detoxify the body of toxins and chemicals induced during digestion. Third, anthocyanin helps invigorate cells in the body that may stabilize body organ health. But purple corn supplement intake is NEVER a license for you to abuse your liver function. Some people go on abusing their liver because anyway they have purple corn to neutralize the side effects of abuse. Any supplement abused this way will never be effective in the long run. And, liver cirrhosis should be treated with medical science by a medical doctor. So, consult your purple corn supplement intake with your doctor.